Plastica wooden pools are a dream that can turn into a reality, their luxury, stunning pools will look fabulous in your garden. If you would like a pool in your garden but do not want to compromise on space then the Plastica Knightsbridge pool, measuring 4m in diameter, is a great choice. The pool comes with everything necessary to build a complete functioning pool, except the concrete for the base, electrics and of course the water to fill it with! These pools can be left up all year round and, for that extra Riviera touch, you can part dig your pool in and put decking around, giving you an even more enviable focal point for your garden and the best fun for the entire family. The pool liners have a foam and felt underlay, giving the pool a beautiful, soft touch as well as added protection. All you need to do is choose a liner to go with your pool, the options include; plain blue, plain blue with a mosaic tileband or an all over pattern of mosaic tiles. A side mount liner lock is included in the structure kit to lock in your choice of liner. 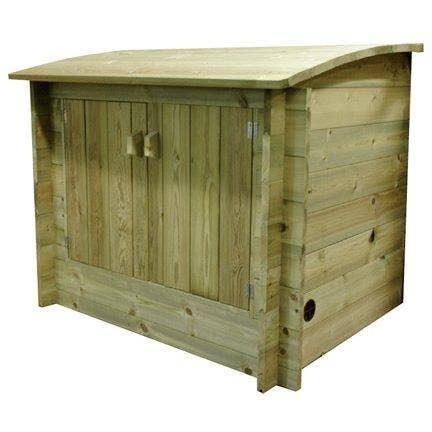 The pool shell walls are manufactured using 44mm of Scandinavian Redwood which has been pressure treated with an ecologically safe preservative and carries a ten year manufacturer's warranty. It is protected against fungal rot and insect attack to ensure a long service life and also has built-in water repellency. The 2-piece top shelf is made from high quality timber including a hidden fixings kit which hides the screws by fixing to the underside of each plank rather than through the top. An iFlo Sand Filter Pump is supplied with this pool, The iFlo comes ready mounted on its baseplate and is pre-plumbed with all filter/pump pipework and connections for fast and easy installation. The iFlo is a high performance, heavy duty motor ensures that it's one of the quietest pumps on the market. It requires 50kg of filtration media which is supplied with the pool. 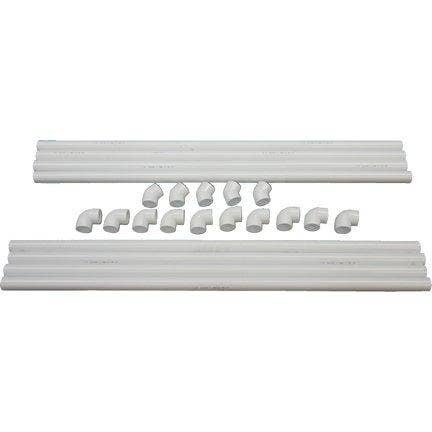 A Pipework Extension Kit is also available for the addition of electric heaters or other plant room equipment. A matching wooden pool enclosure is also available as an option for secure enclosing of the pool filtration, heating and other plant required for effective operation of your pool. 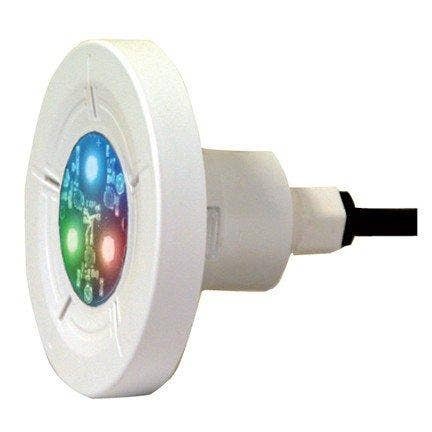 This can be mounted against the pool wall, over the pool skimmer or remotely. To extend the period of use of your pool why not buy a pool heater? 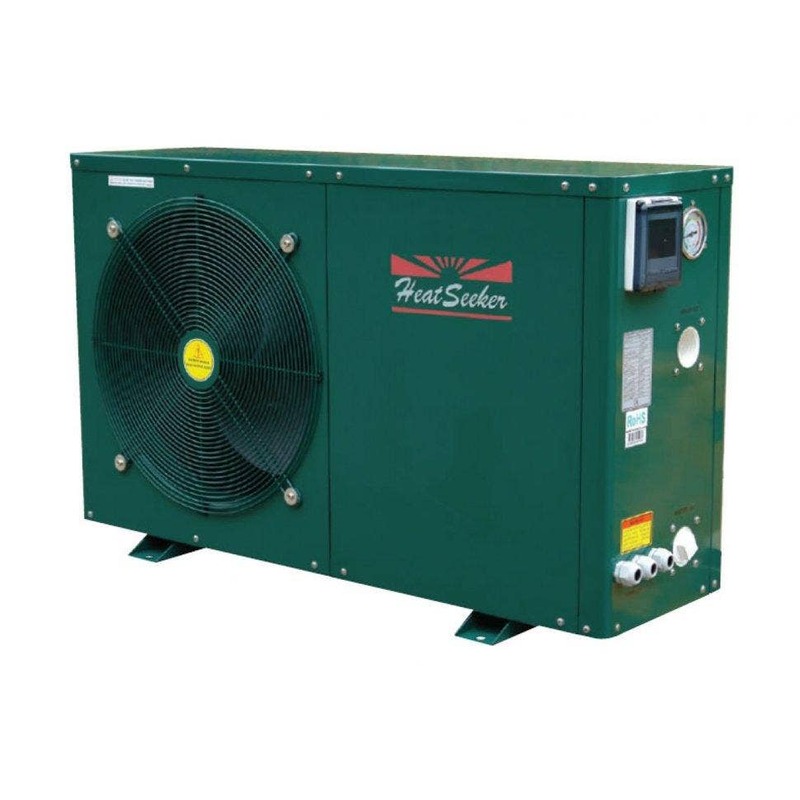 The HeatSeeker Heat Pump simply extracts heat from the surrounding air and transfers it to the pool water. It is simple to use with a remote digital control panel, is fully programmable and has a very quiet operation. It is reliable, environmentally friendly and extremely cost effective. This is the elite of pool heaters that we offer and well worth the initial outlay to ensure optimum heating and performance with your Plastica Pool. Once installed they are more economical to run than other heaters. For an alternative high performance heater with a smaller initial outlay you can purchase an Elecro Heater. Anything over 3kw will need to be wired into the mains by an electrician but it's worth it to be able to enjoy your pool for so much longer. These heaters will heat all sizes of pools, even the huge ones! Colourful LED underwater lights to extend your swimming time into the evening. 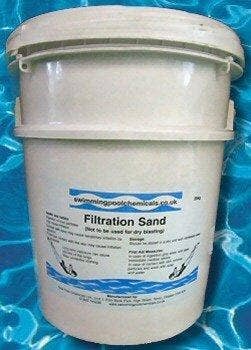 This special filtering sand is used to capture impurities from swimming pool water as it passes through the sand filter and is then pumped back into the pool. Not only does the all-natural sand do an excellent job, it lasts for at least a year, often more, before replacement sand is needed. Not only does this smart, robust structure protect your plant equipment from the elements, it will also help reduce the noise you will hear from your pool's operating equipment. The plant enclosure is designed to push up against your pool's skimmer wall and has a special hatch to access your skimmer's strainer basket. The plant enclosure has double doors to the front and an easily removable top. Plastica are the UK's leading independent swimming pool manufacturer and distributor. In 2017 they are celebrating their 45th anniversary of manufacturing in the UK. They have a 13,000 square metre factory in East Sussex where they employ over 70 staff. They manufacture and produce an impressive combination of products using a combination of state of the art factory equipment and highly skilled staff. The manufacturing facililty produces wooden pools of all shapes and sizes as well as solar covers, reels and plasic parts such as ladders and pipework. 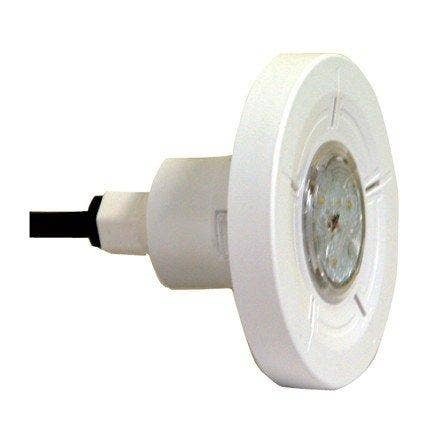 FREE DELIVERY - This item is despatched free of charge* on a 2 - 3 working day service to parts of England and Wales. Other areas will have a delivery surcharge (dependent on the postcode) added automatically during checkout. * Free delivery applies to non-surcharge areas only.